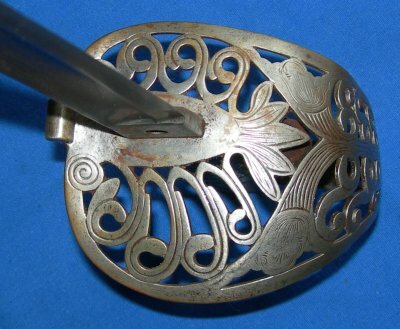 In good overall condition, an 1821P British Heavy Cavalry Officer's Wilkinson Sword with special thumb grip, owner identified. Wilkinson serial number 22915 for 1879. 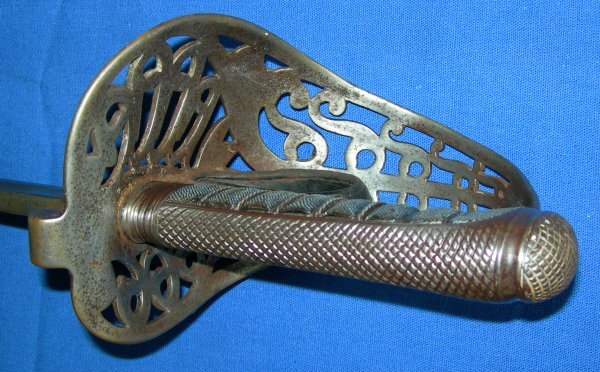 The grip modeled on the German / Swiss / Austrian system of an internal thumb grip loop, to give the holder much better grip of the sword when in combat. 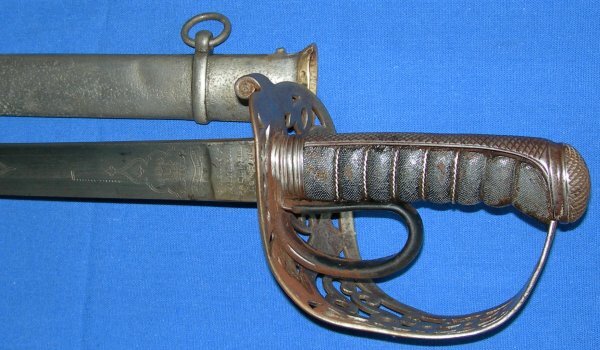 The Wilkinson sales ledger shows this is the sword of William Edward Morrison Rough, 7th Dragoon Guards 1871-1899, commanding officer of the regiment from 1896-1899; more details below. The 34 7/8 inch blade is in good condition for most of the length one side, rusted the other; the blade was period sharpened. Blade firm in the hilt. 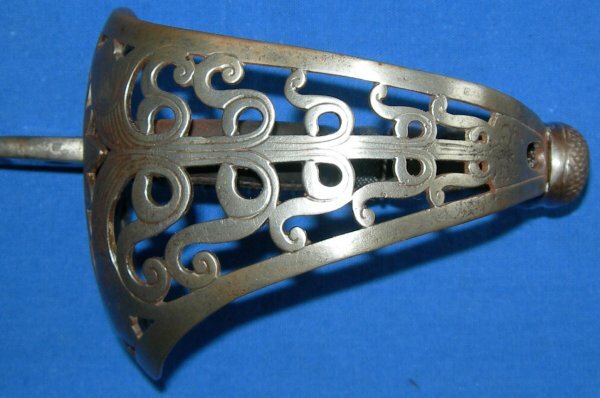 The hilt with very minor bending. The fishskin grip mostly good, some loss under the pommel, the silver twisted grip wire complete except for the last two turns under the pommel. The grip and silver grip wire wear / loss indicative of being used rather than just held. The steel scabbard mostly good except for one areas of rusting (rust hole in scabbard corresponds with a small area of rust on the good side of the blade towards the point). The wooden slat liners of the scabbard are loose / on their way out. 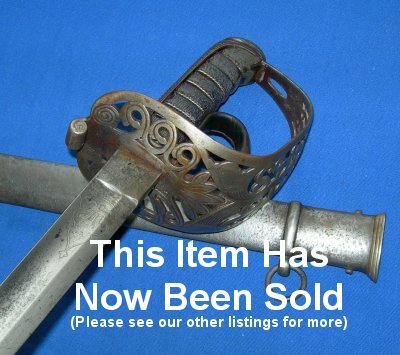 A nice sword for the dedicated collector if purely for the special grip and the provenance. Please quote item reference I88 (1101) . Further / full sized images available upon request. William Edward Morrison Rough, 7th Dragoon Guards 1871-1899, commanding officer of regiment 1896-1899. Died 18th September 1899, in Suffolk. He was with the regiment in Egypt in 1882 and present at several actions (so probably had this sword with him at the time). He married Mary Isabella Sedgwick in 1882 and their son was Major William Adam Sedgwick Rough, served in WW1, possibly with the Bedfordshire regiment and Royal Flying Corps, but further research is required to be sure of this.